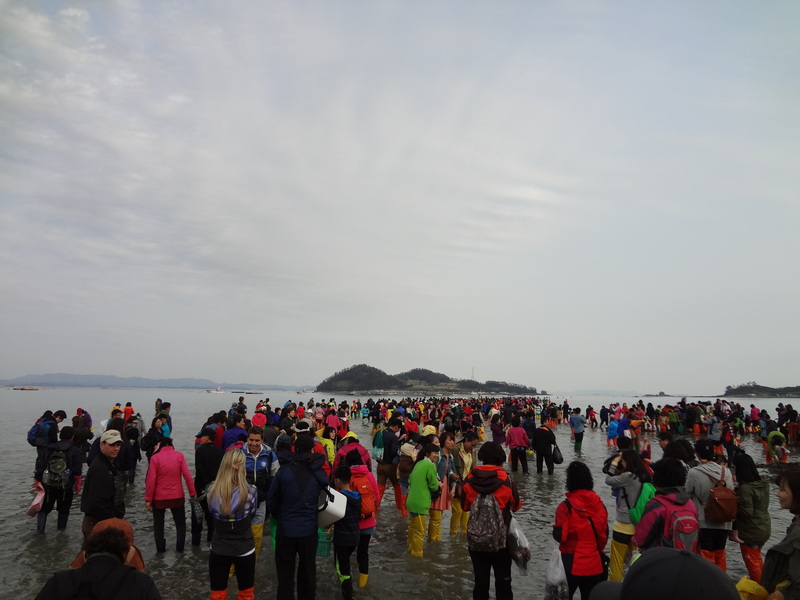 Each year, thousands of locals and tourists alike gather in the island of Jindo, where Korea’s version of Moses’s parting of the Red Sea occurs. 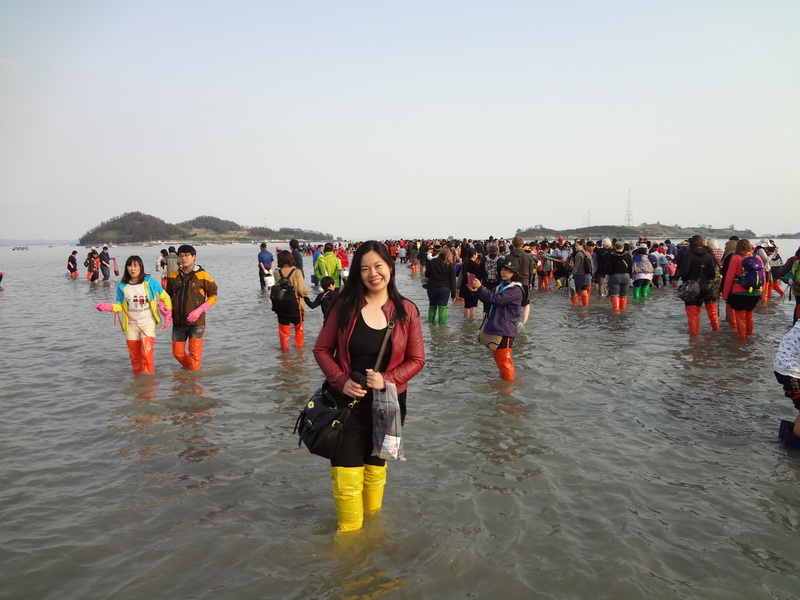 Here, the tide goes down and opens up a 2.9-kilometer “sea road” from Jindo to the island of Modo. On cue, the crowds start to move forward. It’s not everyday one walks the sea! All of us bought brightly colored boots for sale during the festival. The sea level progressively decreased as I walked. 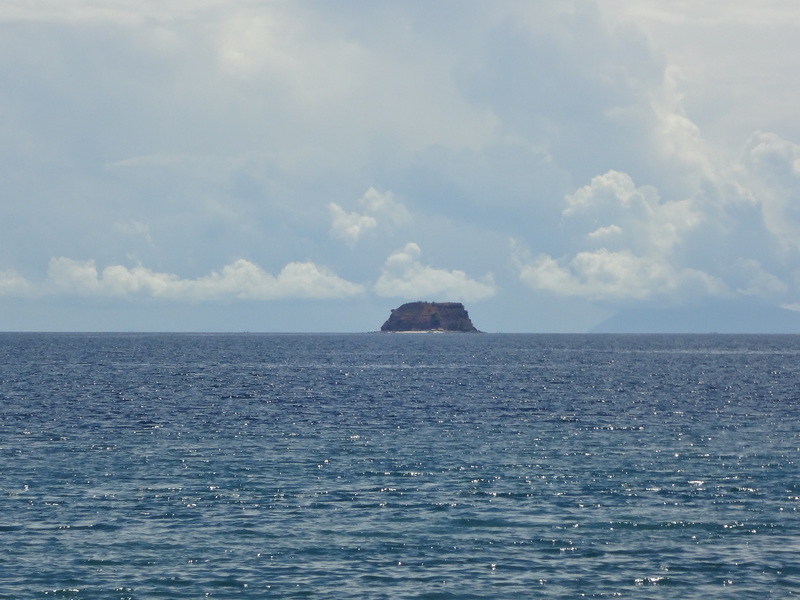 I only made it halfway to Modo when local officials on boats started ringing bells and ordered everyone to go back to the shore, as the tide started to return. It was a dash of panic as we stumbled on the uneven sea floor back to shore. 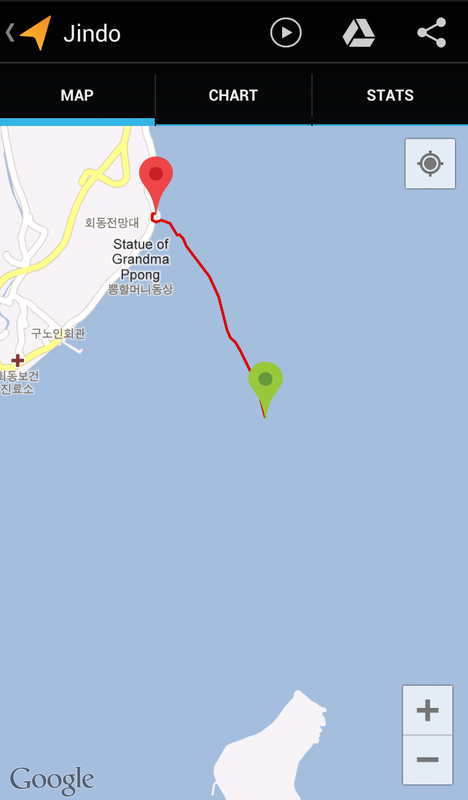 I recorded my walk panicked run back to Jindo with the MyTracks app. 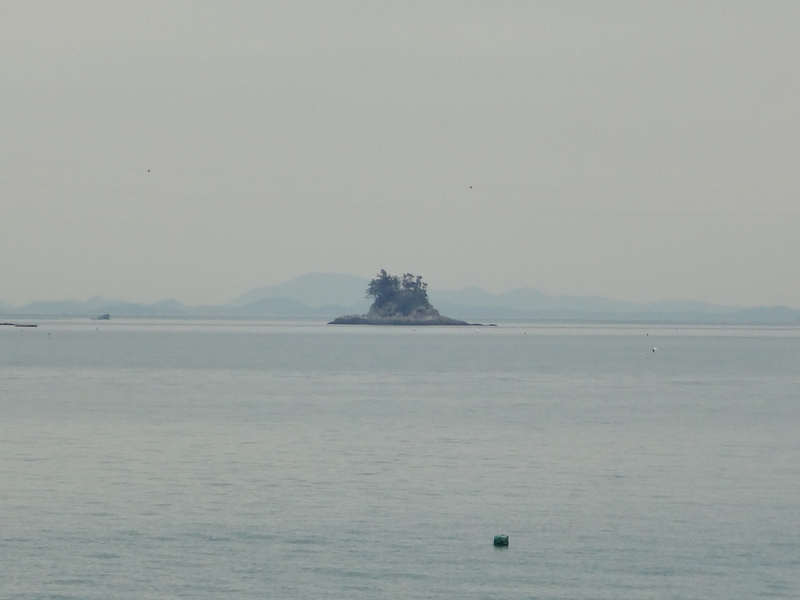 Although scientifically, the main reason for this phenomenon is tidal harmonics (a nice explanation of it appears in this National Geographic article), the local legend goes that a tiger used to terrorize the people on Jindo, who finally fled to Modo, leaving Grandma Mulberry behind. 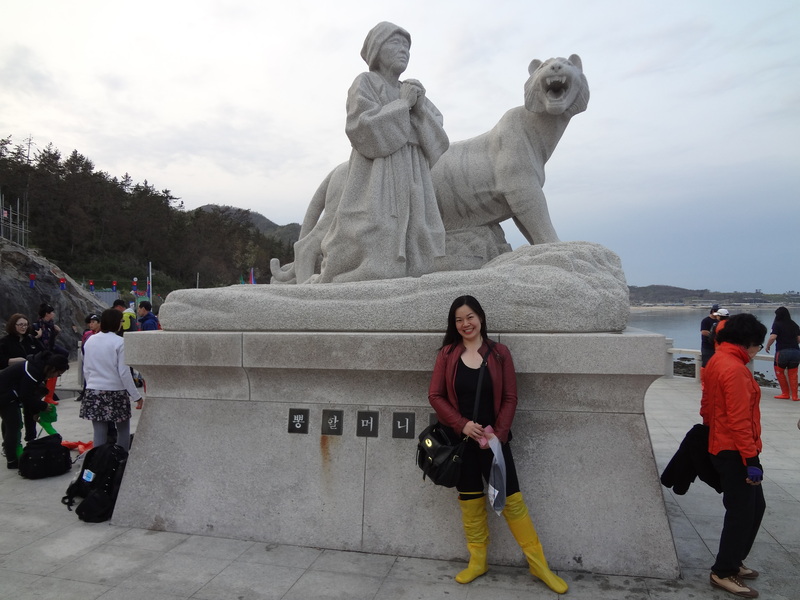 She missed her family and prayed to the Dragon King, who appeared in her dream, telling her that he will set a rainbow bridge over to Jindo. Indeed, a rainbow bridge appeared, and villagers from Modo came over the bridge to look for her. She passed away soon after. This statue commemorates the legend. This is definitely the coolest thing I’ve experienced in Korea so far, especially since it was a beautiful and unusual mix of science and culture. I definitely want to go back next year.